RETS/IDX Need your data imported for a hands-free site? 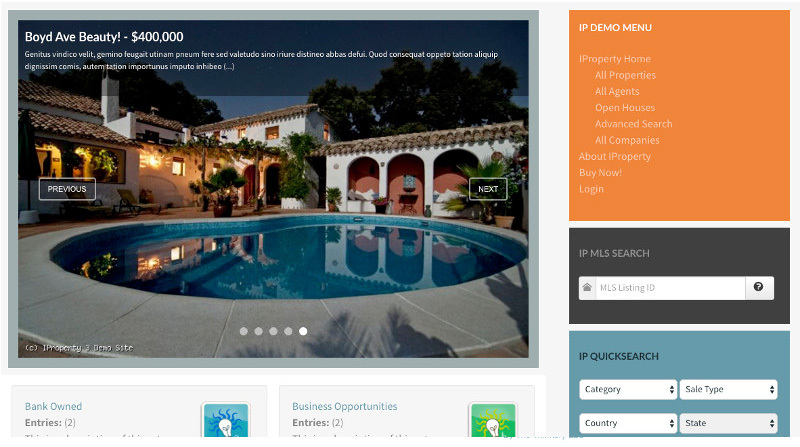 Modules & Plugins Integrate images, videos, even 3rd party services. 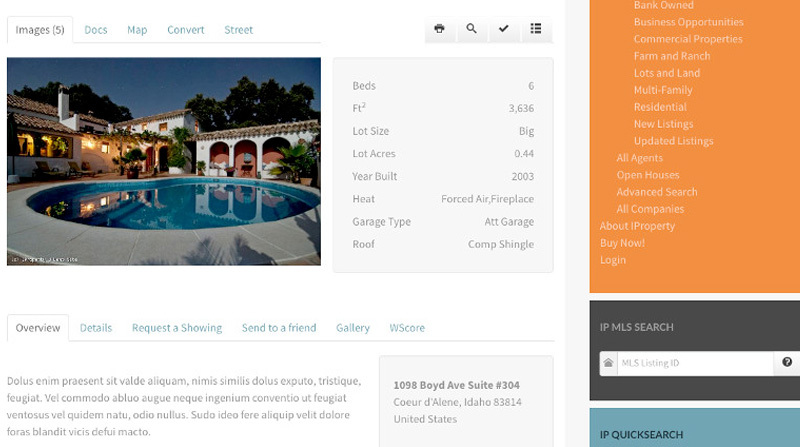 IProperty gives you endless options to build your dream website. From user ACL to overridable templates, the sky is the limit! The Thinkery has developed a sophisticated RETS import toolset that allows you to synchronize the data between your association with your IProperty website. 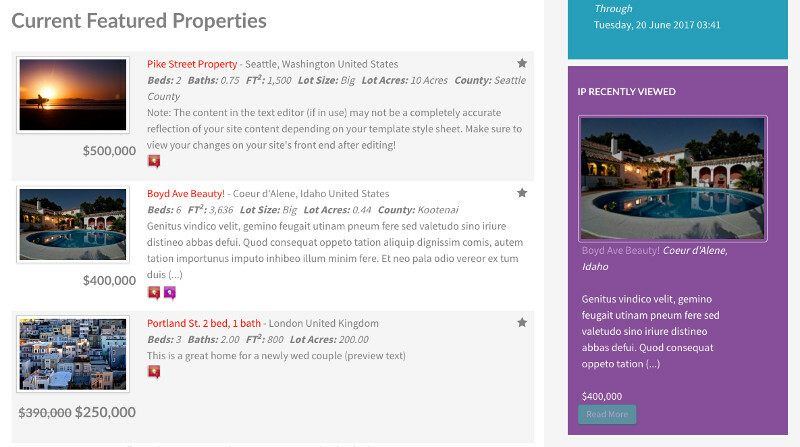 Modules and plugins are extensions which broaden the functionality of the base IProperty product. 40+ modules and plugins are included with a subscription! 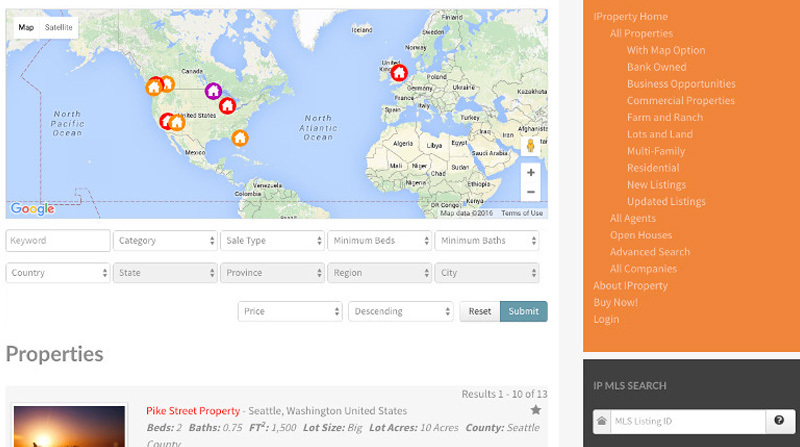 IProperty supports multiple map providers including Google and Bing currently. From the advanced map search to map modules, choose your favorite! All information on this website will reset every hour on the hour. Please feel free to log in with the demo credentials to test the front-end and back-end management. If you have questions, please post in the pre-sales questions forums here. Thank you. 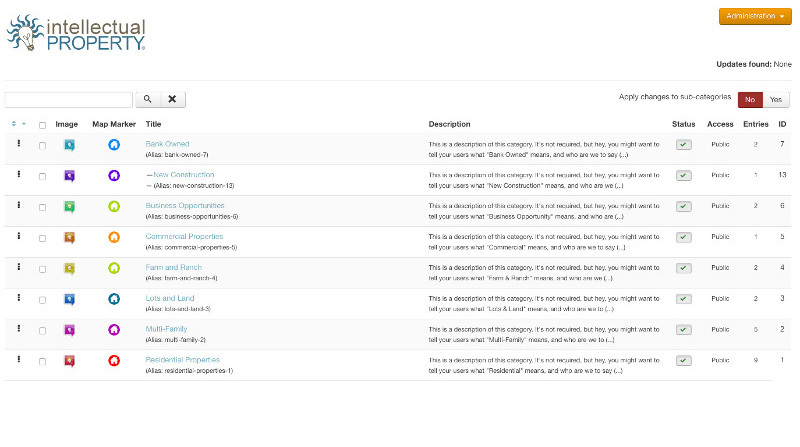 Works great out of the box, as a developer we have done a lot of customization work with ease. For real estate listings its a great extension in that the hard part has been done. 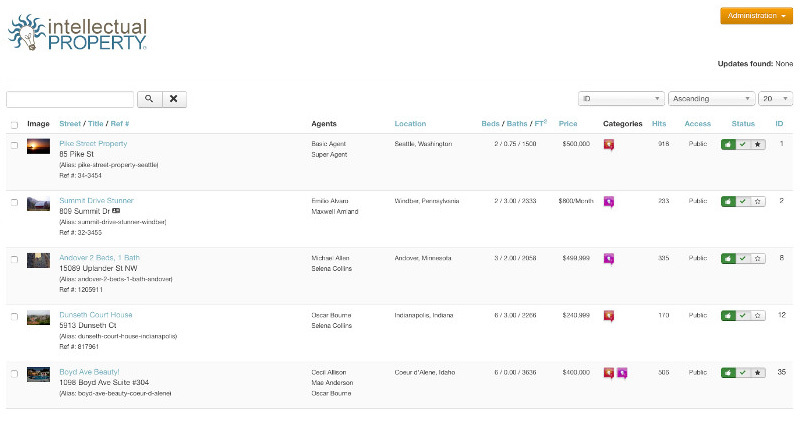 The Thinkery has clearly thought out what is needed and useful for Real Estate Listings management. I usually don't write reviews... but I felt compelled to write one for this extension. I develop and design sites and apps for a living and have for years. I can't remember ever getting such fast and thorough support/service as I have gotten with the folks who made iProperty. The product is awesome and very powerful as well. There is a lot of flexibility with this and if you need a real estate based "system" for a site - there isn't one better than this. It is loaded with features. Tim has gone way above to help me with some things that I needed worked out and Vin has been quick with some CSS tweaks. The bottom line is this... world class extension... world class service. After searching for the perfect Property Listing extension, I have finally found it! SUPERB Support! SUPERB Coding! SUPERB Flexibility! Being a Joomla user now for over 8 years, I have lots of experience with components and their support forums. This is the first one in that 8 years that consistently exceeds my expectations both in functionality, flexibility, and most importantly support! Note: Don't forget to log in and try out the front-end and back-end admin functionality! * 6 month and one year subscriptions also available. A subscription gives access to downloads, updates, and support forums. The product is fully functional after a subscription period ends.